At Your Service Plus has the products and services to handle all your portable restroom needs. Our experienced staff will provide you with a pre-event consultation and will recommend the right products and number of units for your needs. Our installation team is always reliable, always professional. And we'll promptly send one of our staff to take care of any maintenance service required during your event to keep our products clean and functioning properly - our staff is on-call 24 hours a day. For information or to schedule a delivery, please contact us at your earliest convenience. 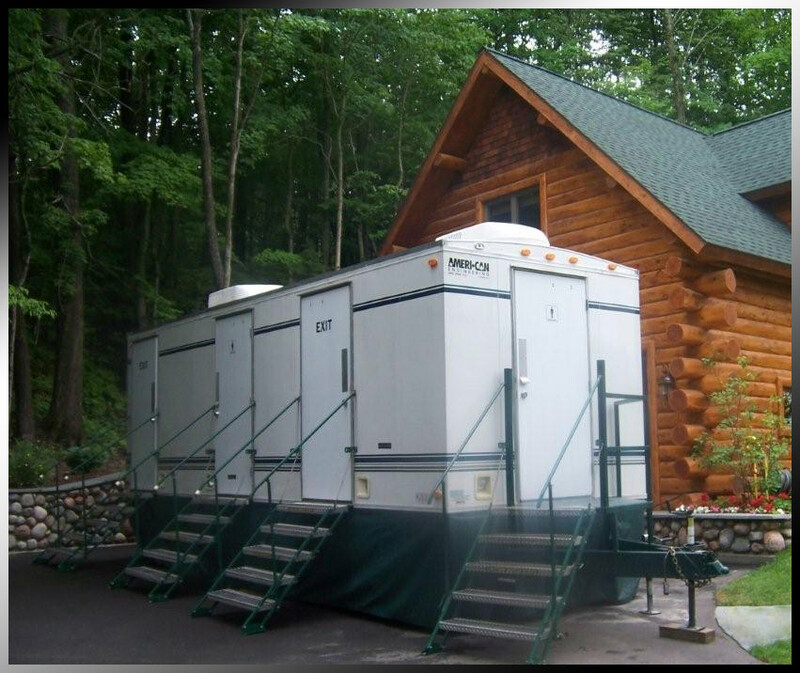 At Your Service Plus, Inc. is determined and dedicated to meet your portable restroom needs. We know that you expect clean, quality facilities, therefore we offer the finest in mobile sanitation systems. We carry a range of products to fit your needs from the elegant Royale that brings you the cleanliness and style of the top resorts to the Premiere Unit with its spacious interior and hands-free operation. Handicapped units are also available as well as simpler units if you desire. Our double wide toilets are great! Portable restrooms, sinks and showers meet some of the most basic needs at natural disaster relief sites. At Your Service Plus can help coordinate sanitation and shower rentals to anywhere from storm and flood sites in the Midwest to areas fighting wildfires in California. Our Products and Services page can help you find what you need and our staff is always ready to provide quick and efficient service.